It's Monday y'all! And today I thought I'd give y'all a little taste of those Monday Blues. No, not the doldrums, but those down home delta blues that I grew up with. I'm from Mississippi and I grew up with the sounds of Johhny Winter, Muddy Waters, B.B. King, and of course, the KING, Elvis Presley himself. This journal page is very special to me. It's close to my heart and a part of me. I took my girls to the Petrified Forest (out in Flora) not too long ago and I picked up a couple of Mississippi State Highway Maps to use in my art journals. I knew they would come in handy! I hope y'all enjoy today's page. 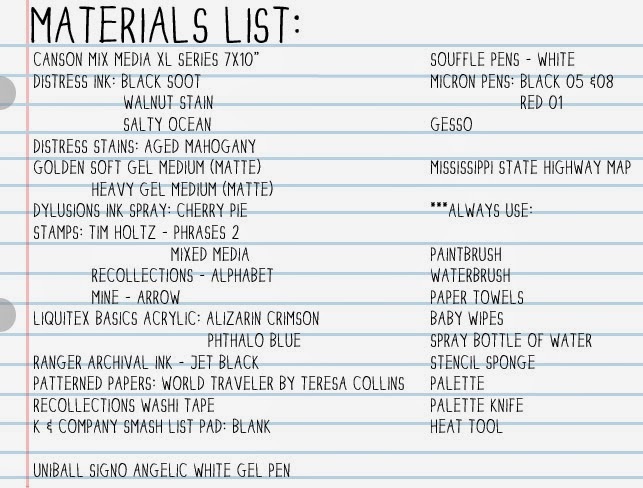 And as always, the materials list is at the bottom of this post. Unfortunately my pages stuck together before I could take pictures and some bits tore. It works in a whole "grungy tatty" way so I'm leaving it as is. 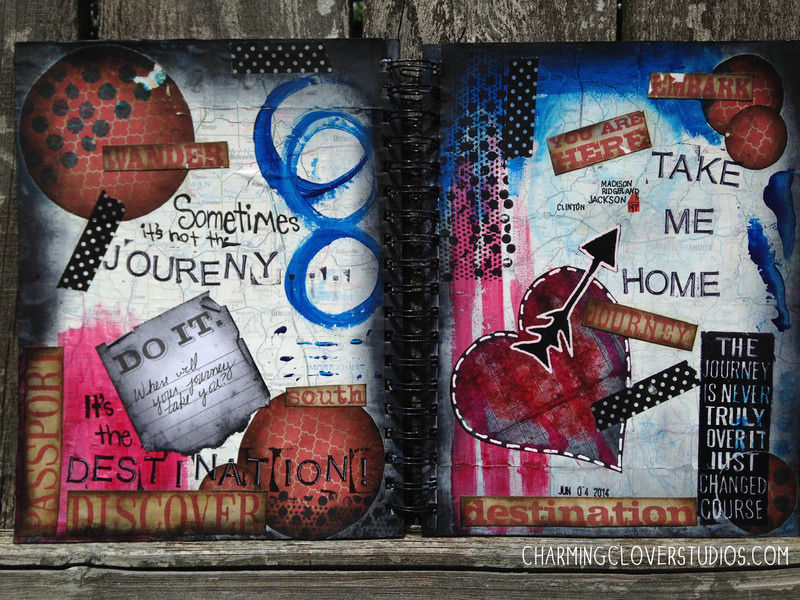 I hope y'all enjoyed today's art journal page. I'm off to create some more. Have a great day and happy creating!